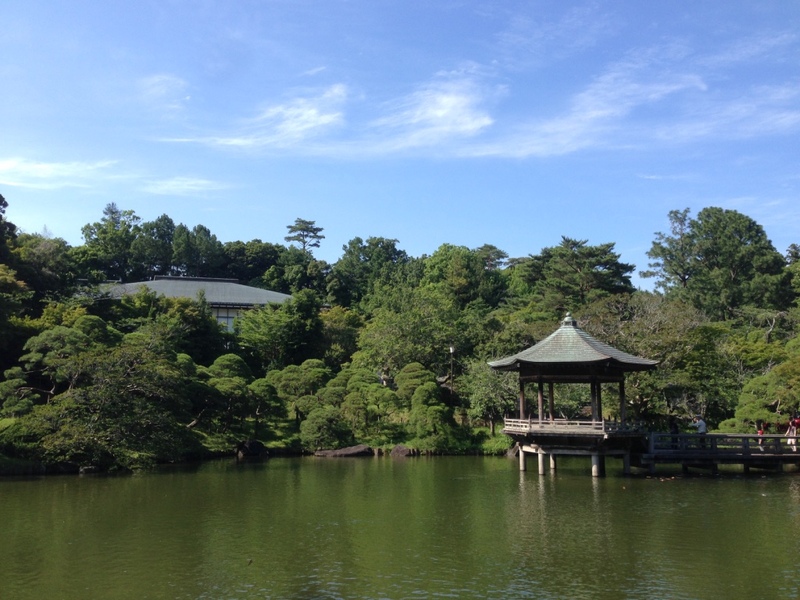 we recommend you to visit the nearby city of Narita. which take at least 60 minutes. At the information desk you can get an English handout with instructions on where to get the train from and what sites you can see around the Airport. It is just 7 minute train ride with Keisei or JR from the airport to Narita City. 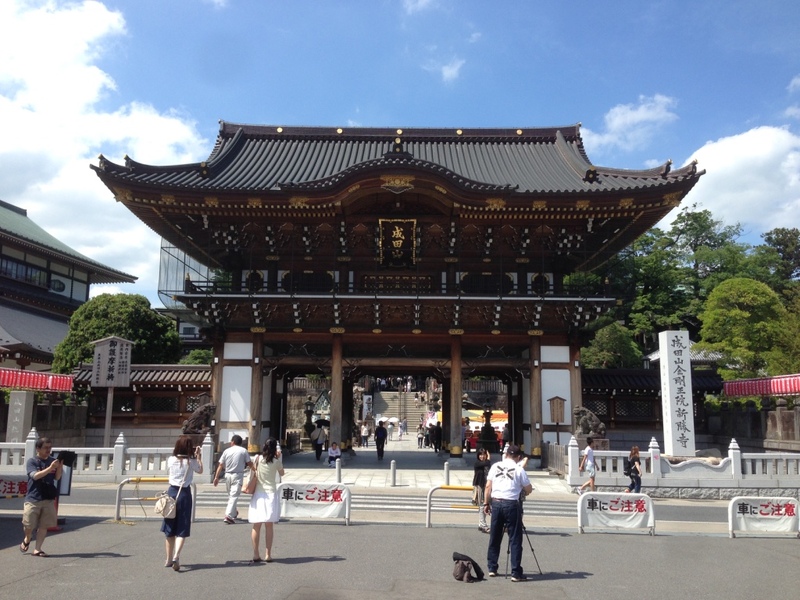 The highlight in Narita City is the Naritasan Temple. It was established in the year 940 and is still used for Buddhist ceremonies today. 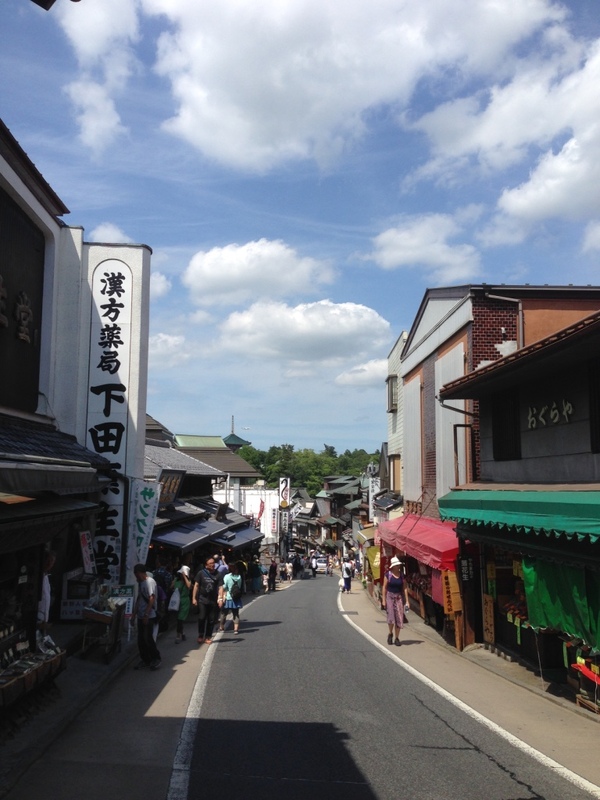 You will see traditional looking restaurants and shops along Narita’s main street (the Omotesando) . 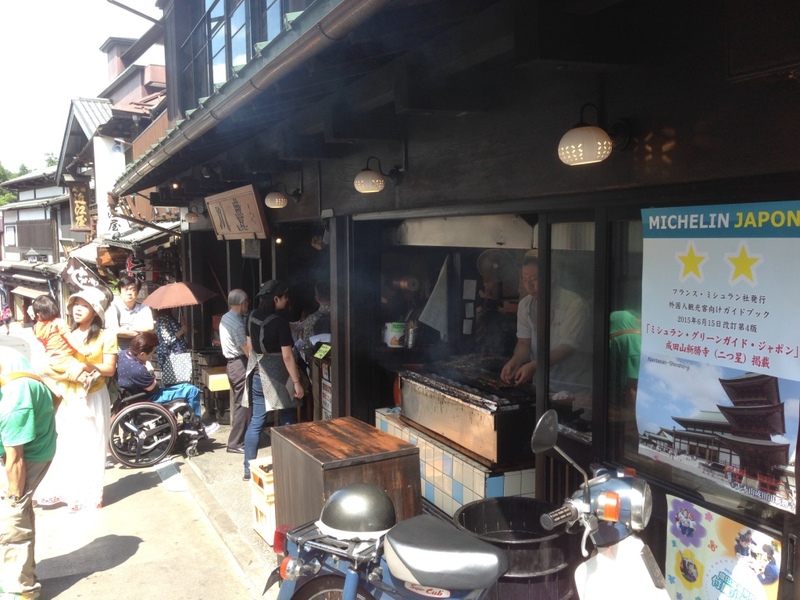 If you visit here at lunch time, we recommend “Kawatoyo” famous for eel. 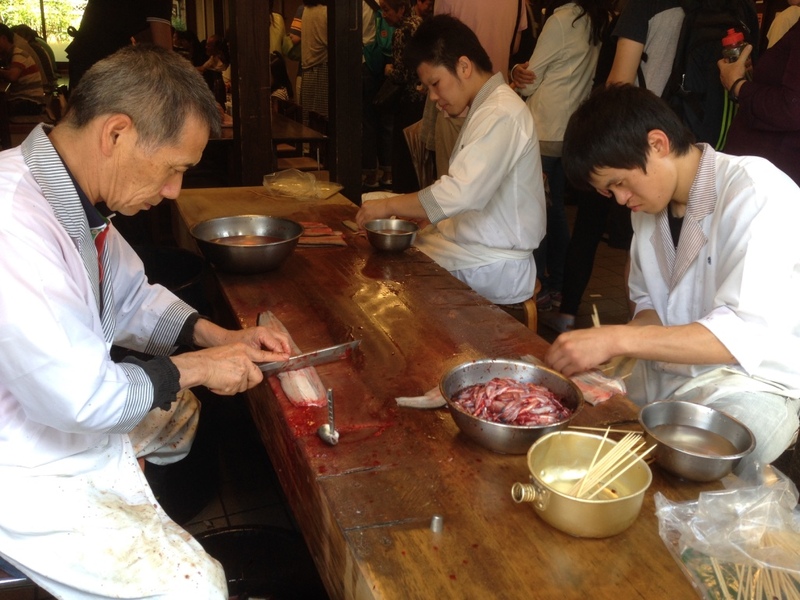 Eel is a local specialty of Narita City. The restaurant opened 105 years ago and you can enjoy delicious eels and see the craftsman cooking eels at storefront which is so attractive! An outer gate and a door front open space of the Temple is seen on the left when I walk some approaches to a shrine after Kawatoyo. After leaving “Kawatoyo” and take a walk for a while , you will see an outer gate and a door front open space of the Temple on the left. 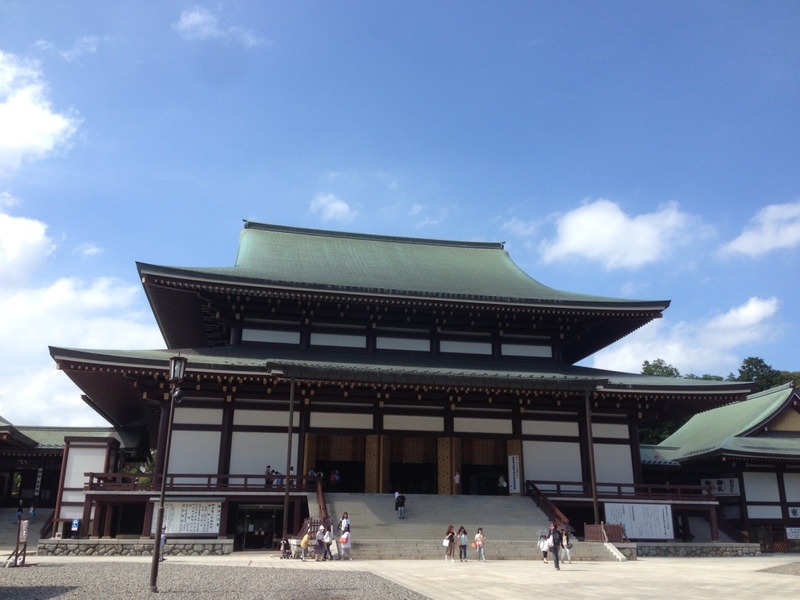 The temple is known widely of the celebrities such as a sumo wrestler or the Kabuki actor holding the bean-scattering ceremony on every February. Here Narita mountain suffers from the stage family name “Narita-ya” of the Ichikawa head family of venerable Kabuki the origin most in Japan. Father of first Danjurou Ichikawa is from current Hataya, Narita-city. It is said that First Danjuro is not blessed with children, but his wish was realized after praying at the Temple, and was given the second generation and did a name with a Narita-ya. Passing through the gate, and going up 53 steps of stone stairways, the main hall of the Buddhist temple appears. In the large main hall of a Buddhist temple, Buddhist priests pray for world peace and the happiness of people every day. 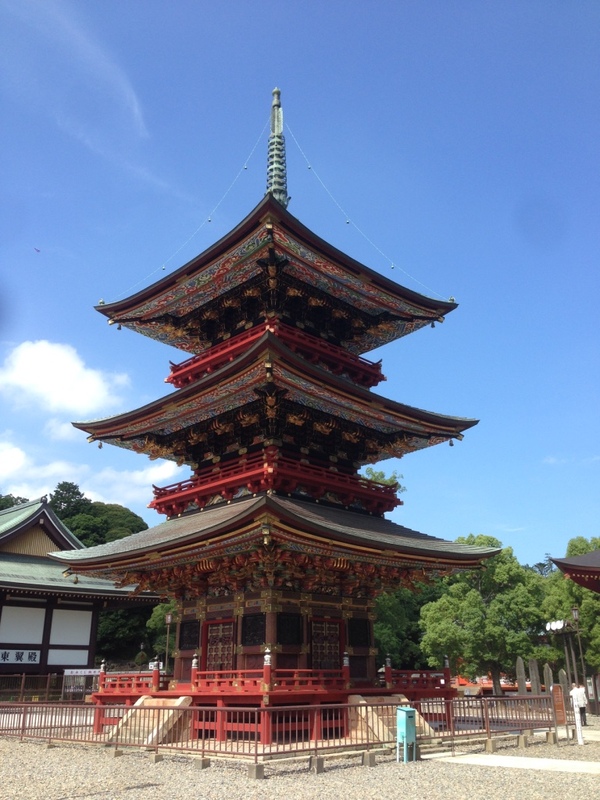 The left hand of the large main hall of a Buddhist temple, the wonderful triple tower stood with violent colors. 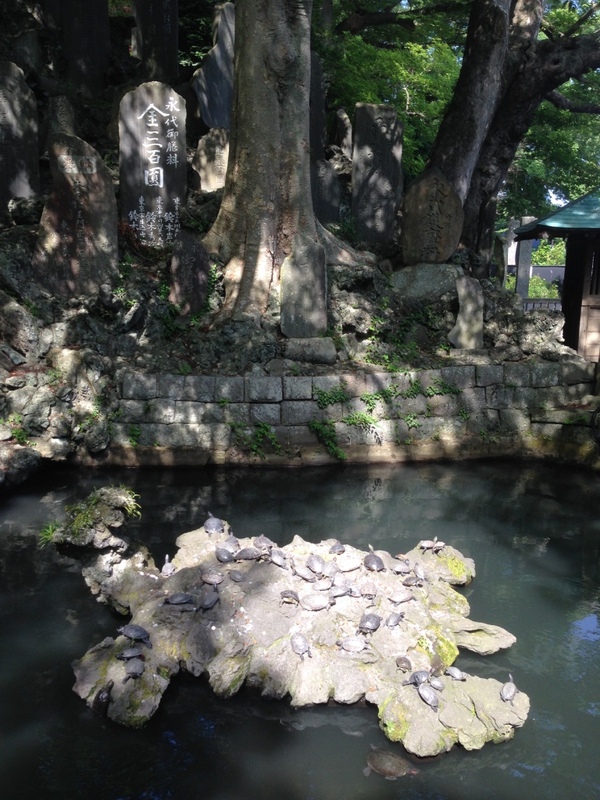 In addition, in the precincts of the Naritasan Temple, we can enjoy beautiful Garden. The Garden was made based on the thought to respect all life of the Buddhism, and it is really nice place to enjoy seasonal nature and a well-kept beautiful Japanese garden. This short trip took almost 4hours, so how about going to visit it on the occasion of kill-time in Narita Airport. Even as for the short time, you can feel the charm of Japan.